Want to buy a PRISM t-shirt? You can't: Someone is claiming copyright over the logo of the vast NSA surveillance operation, and they took down my Zazzle store. 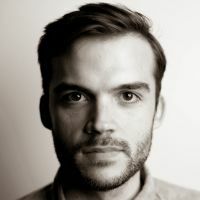 Like all real Americans, I am an entrepreneurial, small-business job-creator type, so when I learned that the NSA was collecting immense amounts of data from nearly every major tech company on the planet, my first thought was: How can I make a buck off of this? Naturally I turned to apparel. Zazzle.com is a company that allows you to design and sell your own t-shirts and other products. (For examples of the possibilities afforded, see the wonderful Zazzle Poetry.) I grabbed the PRISM logo from The Guardian's website, slapped in on a white tee, and put it up for sale. Positive response on Twitter led me to add more products: a mug, an iPhone case, and a black hoodie. I set up a Zazzle store—PRISMMerchandise—and over the course of Friday sold two tees and two mugs, for a grand total of seven dollars. I was in business. Until Uncle Sam stepped in. 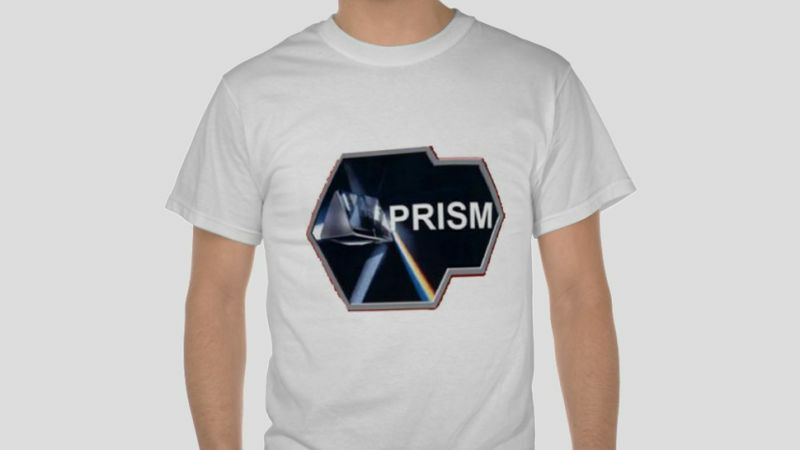 Unfortunately, it appears that your product, PRISM NSA T-Shirt - #Rare PRISM Shirt SPIES, contains content that is in conflict with one or more of our acceptable content guidelines. If you have any questions or concerns about the review of your product, please email us at content_review@zazzle.com and we'll be happy to provide you with additional support. I received the same notice for PRISMMerchandise's other three products as well. Theoretically, the logo is the work of the U.S. government, which has not officially acknowledged the PRISM program. I've emailed Zazzle's "content review team" to find out who contacted it claiming to be the rights-holder of the PRISM logo, and will update the post when I hear back. Until then, you will have to do your own screen-printing. Update: The photo in the logo isn't clip art, but rather taken from a library of free photos by science writer and presenter Adam Hart-Davis—who's on vacation, and unlikely to be trawling Zazzle for copyright violations.